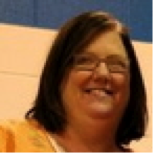 Jill Sundblad is currently a Learning and Leadership/Literacy Consultant for Prairie Lakes Area Education Agency. Below Jill shares her thoughts on how to implement the Iowa Core within the context of conceptual teaching and learning that will make a difference for teachers and students. The Iowa Core is a tremendous opportunity to change how students learn and experience content. To fully implement the Iowa Core, teachers must re-imagine how they teach. Teaching conceptually is one way to support the implementation of the Iowa Core. Teaching conceptually has many benefits for our students. Teaching from a well-articulated set of concepts can change the way we approach the materials in our courses. We should give the big picture ideas (concepts) up front, and then fit in the smaller facts and details in order to support the concepts we are trying to teach. Teaching conceptually will provide the context for students, which in return will lead to more engagement and higher levels of learning.